A beautiful woman; the reigning beauty of a place etc. 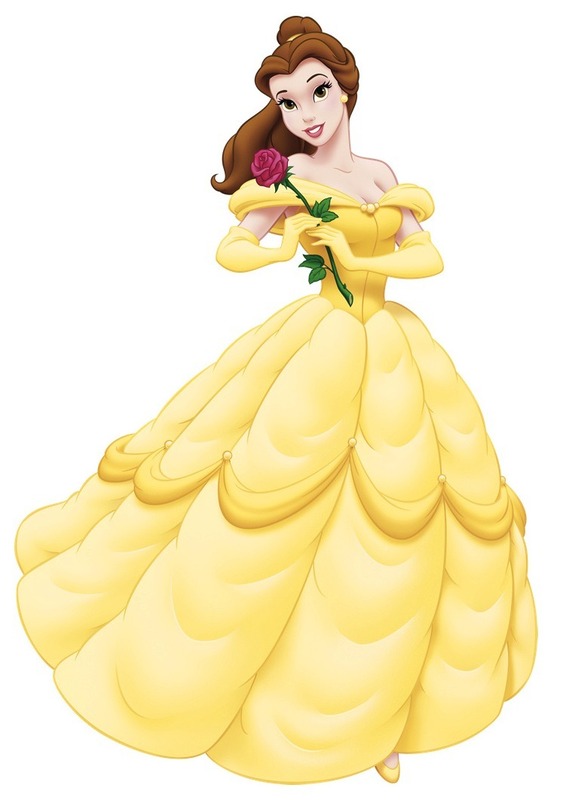 It's interesting that Belle, the protagonist of Disney's Beauty and the Beast, is a belle in both senses of the word. Not only is she beautiful in the more traditional sense, many consider her to be the belle of the Disney princesses due to her character. Rather than being a weak damsel-in-distress archetype, Belle is independent, intelligent and courageous. She's also something of a bookworm which makes her rather cool in my ... umm ... book. English speakers are probably most familiar with the word belle from the expression 'the belle of the ball' meaning, rather obviously, the most beautiful woman at a ball (which is a rather nice thing to say to someone). If one were to move away from that stock phrase, though, care would be needed, as obviously the strength of the compliment rests on what you are saying someone is the belle of. If you said to someone that they're the belle of the office, for example, and everyone in that office just happens to be exceptionally ugly, it's clearly no compliment at all but rather insulting. To be truthful, you're probably better off just getting on with your work and and not firing ill-considered and patronising clichés around the workplace. It reminds me of the phrase "Southern belle" which reminds me of Scarlett O' Hara. Have a great month Ed! I must say Belle was incontestably my favorite! This was partly due to the architecturally beautiful library! I nearly swoon, just as a southern belle might I suppose, just thinking about it. Back to Belle - her independence and acceptance of the beast won my heart as well. Sorry for the passionate mini-tirade haha.